I just watched Happy, the movie. I’m feeling so inspired that I want to share some of the things I learned! First, what I found most interesting is that a lot of people attribute happiness to the current circumstances of their lives. For example, their social status, relationship or jobs. However, those only define 10% of your ‘happy level’. 40% of how you feel is a consequence of conscious actions you take everyday, like playing, changing routines, doing something good for you and the others. The other 50% can be found on your genes. Second, as social beings, we need interaction. Collaborating with others is one of the key factors to release dopamine in your brain and, therefore, make you feel better. Denmark was considered one of the happiest countries and, one of the reasons for that, is the abundance of cohousing communities. In those buildings, everyone gets to help each other and, by doing that, they have more time to spend with what really matters. 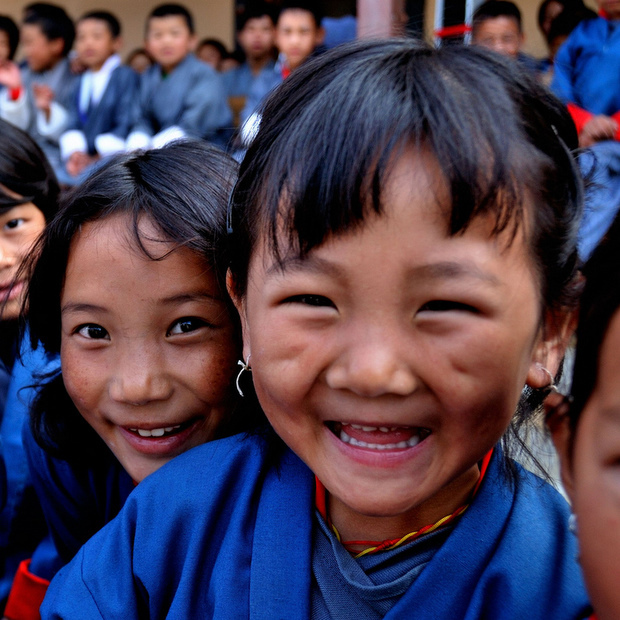 Bhutan, which is a country you usually don’t hear much about, even created the Gross National Happiness as a goal to pursue and evaluate the quality of the govern. It’s a poor country, but when you compare it to Japan, which has a high Gross National Product, the bhutanese are considered way happier and satisfied. If you’re determined to be a happier person, another thing that helps, is being so immersed in something that you love doing, that you actually feel complete every time you’re doing it. Mihaly Csikszentmihalyi calls this state as ‘FLOW’. Surfing and Rock Climbing are good examples for that. So, no more excuses, go shake your bone and find yourself new things to do that will make you the happiest person on earth!